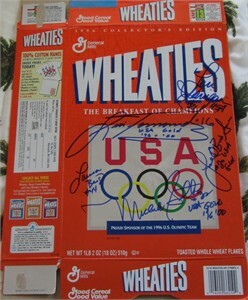 1996 USA Olympic Team commemorative 18 ounce Wheaties cereal box (folded flat) autographed in blue marker by five key players from the USA Women's Softball Gold Medal winners: Lisa Fernandez, Leah O'Brien-Amico, Michele Smith, Laura Berg and Lori Harrigan. 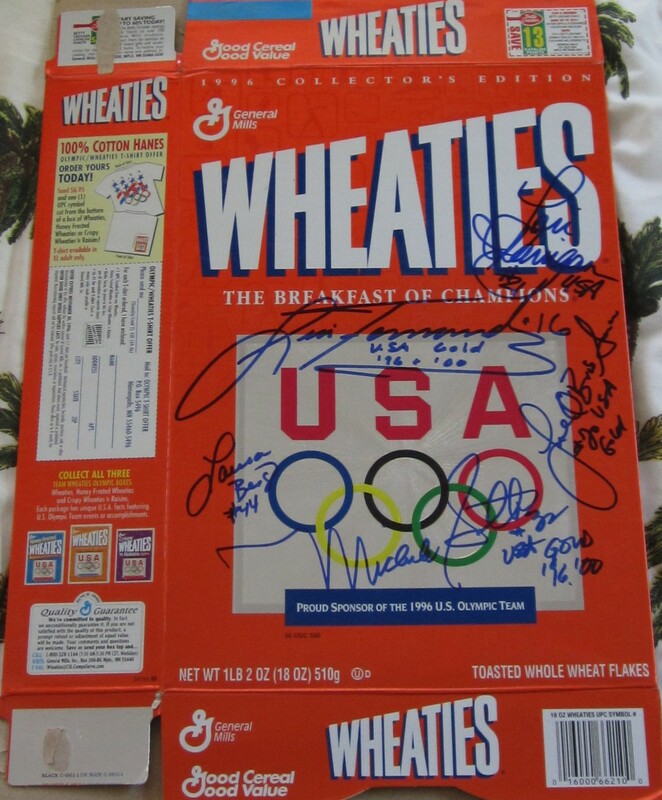 Four of the 5 added USA or USA Gold inscriptions. Obtained in person. With certificate of authenticity from AutographsForSale.com. ONLY ONE AVAILABLE FOR SALE.